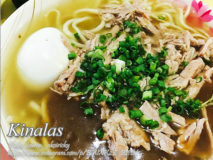 Kinalas is famous noodle dish in Naga city. It is very similar to beef mami and the only thing you will notice on their difference.. 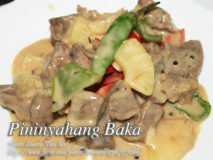 Here is an easy to cook and very quick indeed because the cooking time only requires a few seconds of frying the beef. 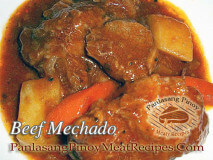 Actually, cooking..
Mechadong baka is beef stew in tomato sauce, potatoes and carrots. 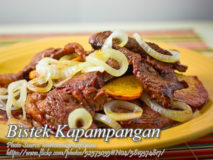 A Filipino dish very similar to kalderatang baka and I always can’t tell the.. 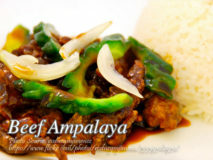 Beef ampalaya is not a traditional Filipino recipe but it was well accepted as one of the favorite Filipino dishes. It has some oriental blend..